Here is my first Special Edition puzzle, and it is a little harder. The map is also available as a PDF. So you, being a Tokyo straphanger, was in between Hikawadai (Y05 F05) and Kotake-mukaihara (Y06 F06) on the Fukutoshin line when it shut down and all passengers were ordered to disembark. That resulted in a rather large passenger pileup in Kotake-mukaihara. However, you were able to get on the Yurakucho line heading for Shin-kiba. Your planned destination is Nishi-magome (A01). However, the lines are going to shut down, one by one! You have to get there before the Asakusa line shuts down in 42 stations. Good luck! Changing lines requires 2 stations' time. I found another way. Start from Kotake-mukaihara riding Yurakucho line (Y06) as specified. 4. Disembark at Nishi-magome (A01, 29 stations), done. Yellow line closes after stop 6; red line closes after stop 12; pink line closes after stop 18; and rose line closes after stop 42. Yellow line to Ikebukuro (3 stops) plus an additional stop to transfer and switch to the Red line (2 stop). Then go to M21 Hongo-sanchome (4 stops) and transfer and switch to the pink line (2 stop). 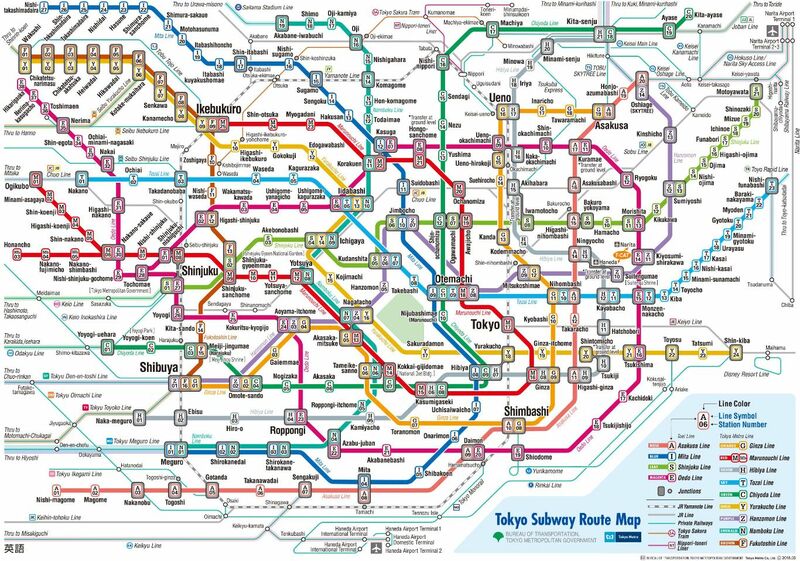 Then go to E11 A17 Kuramae (3 stops) and transfer and switch to the rose line (2 stop). Then go to A1 Nishi-magome (16 stops). 32 stops, if I've counted correctly. Not the answer you're looking for? Browse other questions tagged logical-deduction visual or ask your own question.